The best known applications of battery powered tools are drilling and screwing, battery powered tools can however also be used for grinding and power multiplication purposes. Battery powered tools are often the best option for working in places that are not easily accessible. There is a large range of battery powered tools manufactured by specialised brands such as Ingersoll Rand (mostly for automotive applications) and Plarad (directed at precision tightening and bolting applications) for automotive and industrial applications. Laco supplies both brands and can offer you the right battery powered tools for each required field of application. HOW DO YOU SELECT THE RIGHT BATTERY POWERED TOOL? Which battery powered tool matches the power you require for your application? If you want to be sure that you are selecting the right tool for your application, please contact Laco. At Laco you can find specialists, who will help you make the right choice. WHICH BRANDS AND TYPES OF BATTERY POWERED TOOLS CAN YOU FIND AT LACO? 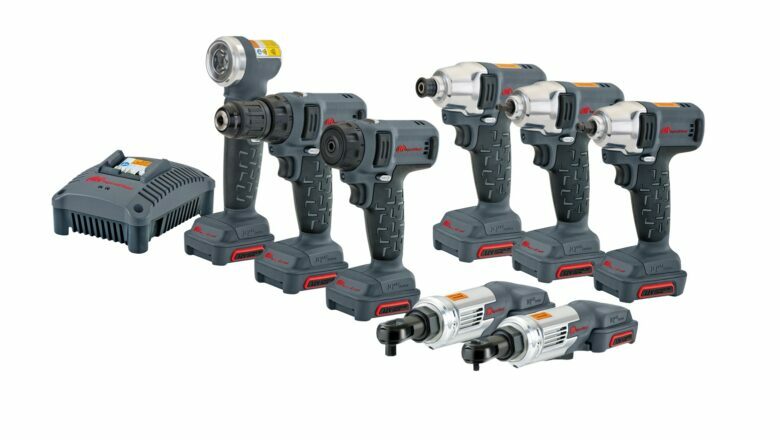 The battery powered tools of Ingersoll Rand include drills, impact wrenches and torque wrenches. The tools can be delivered with both NiCd and Li-Ion batteries. The Plarad B-Rad series includes a number of battery powered tools for precision tightening and bolting applications . All models are calibrated, come complete with a weather proof storage case, a battery charger, and two 18 volt batteries.